God is omnipresent and omniscient! As a Christian, luck and coincidence are not how I view happenings and circumstances. God uses His world and His people to speak to us. 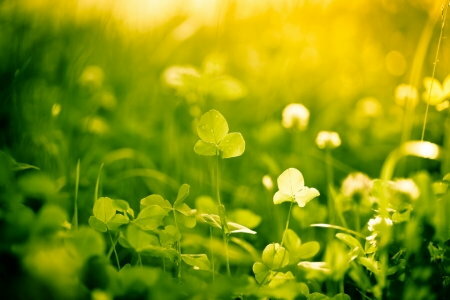 So, if we, as humans, have enjoyed the four-leaf clover for sentimental reasons, then He just might have one show up. It’s the butterfly on your shoulder or a word spoken at just the right time. My last year of school, working full-time, marriage, and motherhood….. I remember searching for these as a little girl–wanting one so bad! 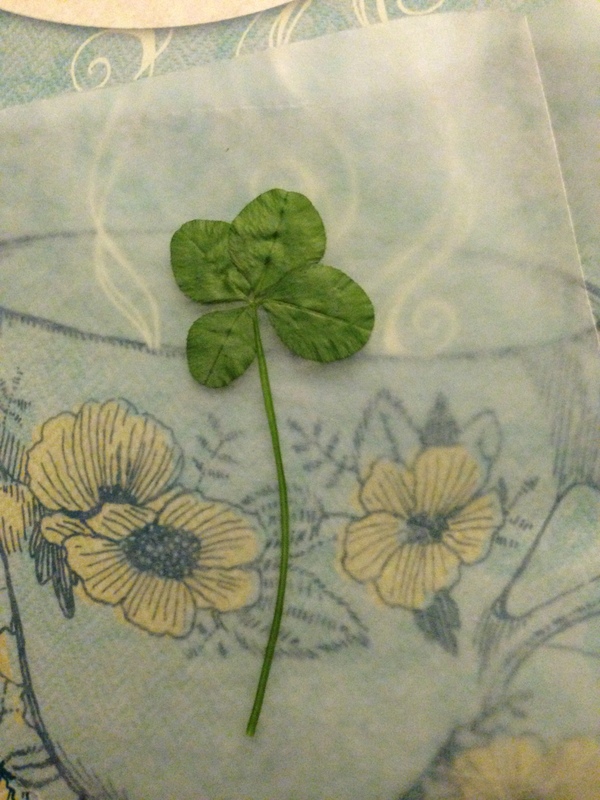 The most incredible thing is when I returned home from a long day of school (on a Saturday), he presented me with another four-leaf clover that he found later that day. It didn’t make the stress or circumstances go away–no good luck charm. The God gift through my husband brought encouragement, laughter, and joy for the journey. What unique ways is God speaking to you? How can God use you to encourage those you love? Isn’t God good like that?!? I love it.. God speaks through people, nature, and many different facets. What an amazing God we have! He is so good like that!!!!!! I pray you hear Him speak to you today and always!